Residential and commercial property owners in Richmond, Indiana prefer OTS Carpet Care for carpet cleaning. The next time your floors need attention, call us toll free 888-456-0475. We provide up front over the phone estimates and the quality of our work is unmatched. 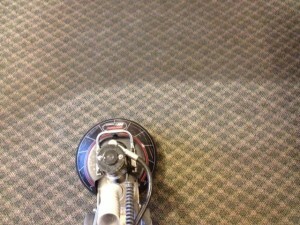 OTS Carpet Care provides amazing results, just take a look. Our cleaning process includes additional steps other cleaners ignore. That’s why so many people use us. For the very best carpet cleaning you’ve ever seen, call today. OTS Carpet Care provides incredible carpet cleaning results! The majority of our business comes from repeat customers and current client referrals because we do a great job. Our cleaning process includes additional step other carpet cleaners ignore. We use the best cleaning products available and our cleaning system is the gold-standard in the carpet cleaning industry. Property owners in Richmond, Indiana recognize a great value, that’s why our local customer base continues to grow. There are many reasons why OTS Carpet Care is the preferred carpet cleaning service in Rushville, Indiana. Upfront, hassle free pricing over the phone. I focus on top quality cleaning, including additional steps that other cleaners ignore. The highest-performing, best-quality truck mounted cleaning systems leave carpets cleaner and dryer. The gold standard in pre-treating loosens soil deposits from carpet fibers, the best cleaning detergents do the best job! I use corner guards to protect your walls and furniture. The Rotovac powerwand cleans with hundreds of passes, compared manual wands. The results are amazing just take a look. Call toll free 888-456-0475 today. OTS Carpet Care provides amazing cleaning results – carpet, upholstery, tile & grout, commercial & residential we deliver. Our proven cleaning method includes additional steps other carpet cleaners ignore. Our reputation speaks for itself as the majority of our business comes from repeat customers and current client referrals. Call to find out why so many people choose OTS Carpet Care for all the floor cleaning needs 888-456-0475. Residential & Commercial property owners call OTS Carpet Care because we deliver amazing results. We include Additional cleaning steps and we work with mechanical wands because they leave your carpets cleaner and dryer -than old manual wands. Our powerful truck mounted system is state-of-the-art when it comes to carpet cleaning. Up front hassle free estimates are only a toll free call away 888-456-0475. I’m the Owner/Operator my pledge is your total 100% satisfaction. OTS Carpet Care provides amazing carpet cleaning results everyday, but we also clean upholstery, tile & grout, mattresses, RV’s and boats. The majority of our business comes repeat clients and current customer referrals. Intentionally I schedule just a few appointments per day so I can take time to include additional cleaning steps that other carpet cleaners ignore. As Owner/Operator I do all the cleaning, there are no subs or employees to worry about at OTS Carpet care. I am 100% concerned with your total satisfaction thus the results are amazing! Call toll free today 888-456-0475. OTS Carpet Care professionally cleans carpets, tile & grout, upholstery and more. We are only a toll free call away 888-456-0475. No other carpet cleaner matches the quality of OTS work. We are locally owned and operated, your total 100% satisfaction is our only goal. You will be amazed! If you’re considering purchasing new furniture, perhaps you should get a bid to for having your current upholstery professionally cleaned. 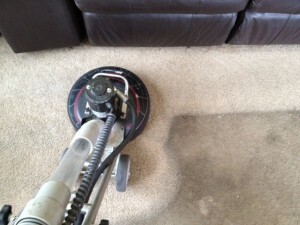 OTS Carpet Care does a awesome job carpet cleaning everyday but we also provide upholstery cleaning. Restore that new look of your existing couch, sectional, love seat at great savings compared to replacement. Call toll free 888-456-0475 for a upfront estimate today.